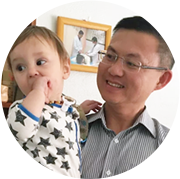 Peter Gu was born into a traditional Chinese medicine family. His father, Prof. Kong Jing Gu is a renowned professor of Chinese Medicine and Acupuncture in China. Peter studied with his father when his was young. At the age of 19, He commenced formal study at Beijing University, the best university in China. As a distinguished student, he received his bachelor degree of Medicine (Hons) after five years of full time study. After graduation, Peter became a resident doctor of acupuncture in the China-Japan Friendship Hospital, Beijing: This hospital is one of only two hospitals attached to China’s Ministry of Health. While at the hospital, he received formal M.D. training, working in numerous departments, Gynecology, Neurology, Cardiology, Emergency, I.C.U. ( Intensive Care Unit); C.C.U ( cardiac care unit), as well as Chinese Herbal Medicine and Acupuncture Departments. During this time, he was apprenticed to Professor. Bai YU Lan, Professor. HepuRen and Professor. Chen Quanxin too. After that, he developed particular interest in Chinese Medicine Gynaecology and Fertility. Later he became clinical doctor and clinical teaching in the Acupuncture Department. In this role, Peter practiced, taught, and researched the integration of Chinese and Western medicine. 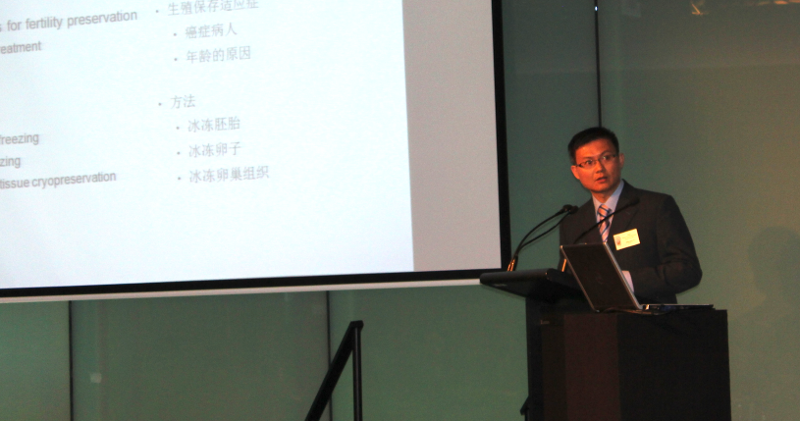 Dr. GU came to Australia and established his practice in Melbourne, 2002. He is a registered acupuncture and Chinese medicine Practitioner with the Australian Health Practitioner Regulation Agency (AHPRA) and is a member of Australian Acupuncture and Chinese Medicine Association (AACMA); a member of Fertility Society of Australia. In addition to practice, Peter lectured at different universities and had received awards for his excellence in teaching. He is a visiting professor of Hainan Medical College, China. He is also an author in acupuncture and has co-published 3 books on clinical application in women’s health and an article on peer reviewed journal. Dr. Gu takes great pride in the individualised care he gives each patient and hundreds of new born babies he has assisted over the years. 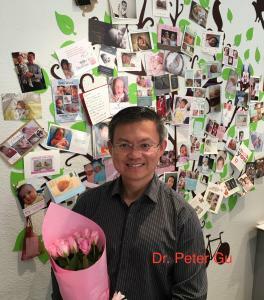 Dr. Peter Gu is well known for his integration of acupuncture and traditional Chinese medicine in working with patients who suffer from fertility issues, gynaecological conditions and IVF support. He works in conjunction with and receives referrals from Monash IVF, Melbourne IVF, City Fertility and Gynecologists, Obstetricians from private hospitals. His passion for helping couples achieve a pregnancy is reflected in his kind and compassionate relationship he develops with patients. He has helped hundreds of couples to fulfill their dreams. Dr. Gu provides a combination of therapies, including acupuncture, herbal medicine, diet therapy and life style advices. Peter lives locally with his wife Jing, and their two children. Peter loves to read, enjoy great food, music, travel, and to help heal his patients.